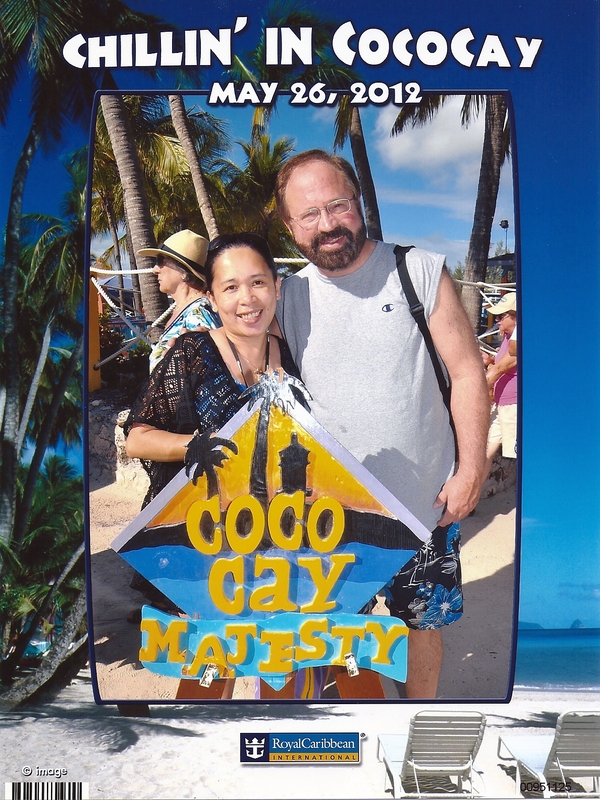 It was such an amazing experience visiting CocoCay in Bahamas during our cruise. CocoCay is a private island exclusive for Royal Caribbean as well as for Celebrity Cruises guests. Both these cruise ships bring their passengers to the island by tenders. CocoCay is surrounded with bright blue waters in the middle of the Bahamas, and situated about 45 miles north, northwest of Nassau. This island was used to be called "Little Stirrup Cay" before the Royal Caribbean Cruises assumed the lease of the island for exclusive use. It used to be a deserted island that has white sand beaches. After Royal Caribbean Cruises acquired the lease, and was renamed CocoCay, the company started renovating the island and became a tropical paradise. Nowadays, it is now equipped with new and modern aquatic facilities like scuba-diving and snorkeling facilities, renovated nature trails which are one of the island's attractions, new dining shelters such as bars, restaurants and shops like the Straw Market that are in cottages and artisan huts. Other famous activities are kayaking, swimming, parasailing and more. If you prefer to relax, the island is also equipped with benches and special seating areas along the beach and trellises for shady sanctuaries. Before catching up your tender going to the island, be sure you are ready for the choices of any excursions or tours that you wanna do. There is an excursion desk in the ship and they can help you with some lists of activities you want to do in the island. You need to sign up first before going to the island, as they don't accept walk-in tours once you're there. Otherwise, you should have already included your excursion itineraries before you board the ship for the cruise.